Pinterest is a mobile application company that works on a software system that has been designed to extract information on the Worldwide Web using images, videos, and GIFs. But nowadays Pinterest is not viewed only as a photo sharing platform but is a tool that can help millions to earn money online in various interesting ways. This platform helps in a fast and easy way to earn money as there are a variety of job options that can easily match the preferences of the target audience. Here is a list of some of the job options that one can get employed in Pinterest to earn money online. 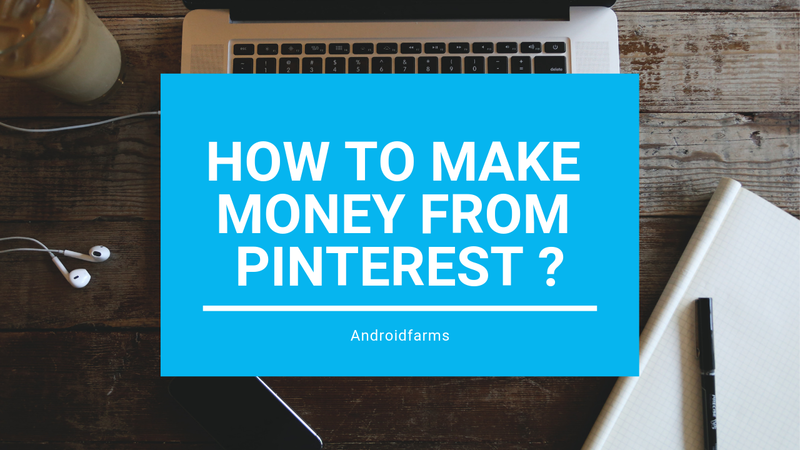 This is considered one of the nicest and easy ways to earn money online through Pinterest. There are many bloggers and companies in Pinterest who do not have enough time to respond to the emails sent to them by their viewers. But they have to drive internet traffic also towards them. For this reason, a virtual assistant is hired who looks after the responsibilities of answering emails and creating engaging content, creating new pins and looking for images or even the task of pinning and refining the content to boards. This way the fan following of these bloggers and companies stay loyal to their posts. BUILD YOUR PASSION AND SELL IT -Take, for instance, your passion is cooking. Share your food ideas with millions of people who do not have the idea of what to prepare on a specific occasion. Whether it’s a Halloween party or a Christmas dinner, tell the world what your big food ideas are, how you will decorate the plates and other such great stuff. You can as share food ideas fit for babies or a toddler as there are hundreds of moms who will be looking for these tips. Open your own food blog and give an option to your followers with a “contact us” option that will help them to get in touch with you for receiving orders offline too making it a good option to earn money online. CHASE YOUR PHOTOGRAPHY DREAM THROUGH PINTEREST - Pinterest users are always in the search for captivating images that go quite viral. So if you are a photographer and wondering how to earn money online, then you can make your Pinterest account to earn money by selling your photographs. Sell these images at an affordable price first and then as you gather more viewers increase your profit by selling qualitative images. Build a network through friends and family who will spread the word and make you a famous photographer selling online attractive photos. BE A PINTEREST SEO SPECIALIST - Bloggers and business owners need an unlimited supply of internet traffic to their blogs. This can be ensured and handled with the skillful skills of a Pinterest SEO specialist where the offering of such services will help to earn a lot of money. Create your own Pinterest account and open its doors for those big companies and bloggers who would like to avail your services as an SEO specialist. WORK AS A WEB DEVELOPER IN PINTEREST - Working as a web developer is a good option to earn money online through Pinterest. Many bloggers need web development services that should be SEO optimized, safe and user-friendly too. A proficient web developer will help to achieve all these advantages for one’s blogs. So take up the job as a web developer and earn a lot of money through your Pinterest Web Developer services. GET EMPLOYED AS A PINTEREST FREELANCE WRITER - If you have a love for writing, you can definitely make money by doing so on Pinterest. Write engaging content to get a lot of readership for working as a freelance content writer for Pinterest. Writing good content will help you to connect with a variety of readers online who will regularly look for your write-ups. So get hold of a freelance writer job on Pinterest as this is also a good option for earning money online. WORK AS A PROMOTER OF AFFILIATED PRODUCTS - Many companies look for people online who will promote their products and earn a commission from the sales’ returns. Go on the lookout for companies who offer such services and will help you earn a good living as an affiliate. You also do not have to worry about affiliate marketing spammers as Pinterest completely takes care of this. So get started today with this good opportunity to earn money at home. BE A TEACHER OF PINTEREST STRATEGIES - Not many know the complete usage of Pinterest. You can become a teacher and earn money online by teaching your Pinterest strategies to others. Create e-books and course materials of what you have learned and teach the same to the millions of viewers. GO FOR PROOFREADING AND EDITING JOBS - Many bloggers need proofreaders and editors who will help them to develop their content in a more engaging and informative manner. This is where you should prove your proofreading skills and use as an easy way to earn money on Pinterest. Your voracious skills in reading will help you in becoming a good editor or a proofreader and you will soon see many bloggers reaching out to you to hire your services. START YOUR ONLINE BUSINESS IN PINTEREST - If you have enough creativity that will help you to manufacture your own goods and sell them online, then Pinterest is the place that will help you to do so. For example, a person who is good at designing clothes, or is good at manufacturing simple home décor items can use Pinterest to sell their products and earn money online. WORK AS A MARKET RESEARCHER IN PINTEREST - This is also a good option to make online money on Pinterest. Working as a market researcher in Pinterest will require you to keep doing constant research on all products that are available online so that you can go to a higher level than your competitors. All items like household commodities, baby food, and furniture and college choices can be researched proficiently by a market researcher to know which the best brands are for each of these categories. These are some of the good options that one can go to earn money online through Pinterest. It will not only make you a proficient at your work but will help you to earn quite a good sum of money even while staying back at home.